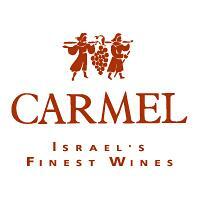 Carmel Winery is the historic winery of Israel. It was founded in 1882 by Baron Edmond de Rothschild, owner of Ch?teau Lafite in Bordeaux. Carmel owns the two largest wineries in Israel, at Rishon Le Zion, south of Tel Aviv and at Zichron Ya?acov, south of Haifa. Each has deep underground cellars built by Rothschild in the 19th century. "An innovative blend of two complementing grapes produces a perfumed wine full of tropicalfruits. Spicy citrus flavors are complemented by a hint of grapefruit and litchi followed by a smooth finish." This semi-sweet wine is bursting with perfumed floral aromas and wonderful hints of peach and citrus flavors. A slight effervescence provides a spirited liveliness. This sweet, effervescent, straw colored wine was made from Muscat Blanc à Petits Grains grown in the Samson region of Israel. Look for a nose of apricots and lychees, with a whiff of wildflowers, and flavors of peach, lychee, apricots and lemons, with a nice bit of honey on the finish. "Violet, blackberry, cassis and blueberry aromas immediately waft from the glass. Rich and ripe, the palate boasts more of the same concentrated fruit in a lush, creamy, crushed-velvet-like texture. Notes of charred espresso bean, vanilla pod and licorice root all unfold on the long finish. Winery Notes"Velvety Cabernet Sauvignon blended with the spicey flavours of the Shiraz grape makes this lively innovative wine a perfect accompaniment for all foods."